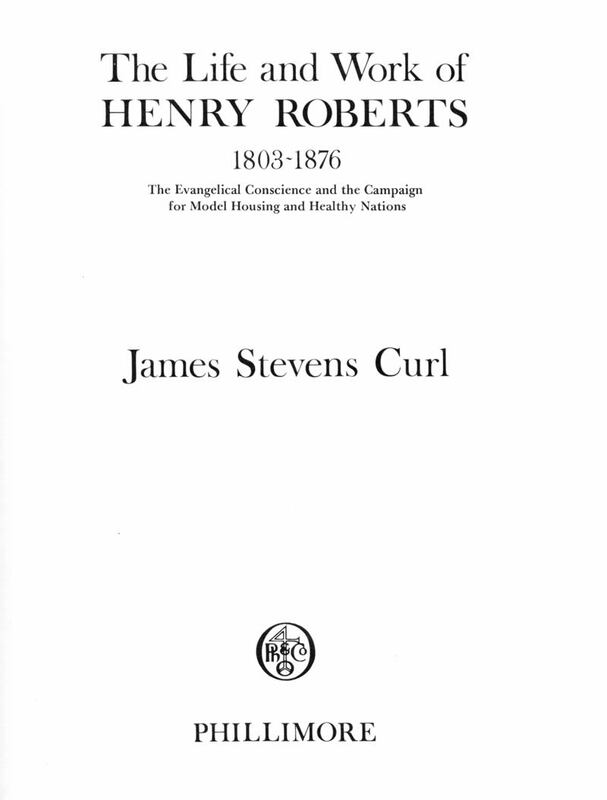 Henry Roberts was a successful Victorian architect and reformer whose work influenced the design of housing for the poor for generations, internationally, and whose life sheds fascinating light on both the Evangelical Movement and the inter-linked philanthropic groups in Europe. It is surprising that the importance of his career had been relatively under-estimated until the appearance of this detailed, illustrated, definitive biography in 1983. Having obtained his early training in the offices of the distinguished architects Charles Fowler (1792-1867) and Robert Smirke (1780-1867) and at the Royal Academy Schools, Roberts (who had worked on the drawings for the British Museum while with Smirke) won (1831) the competition for the design of the Hall for The Worshipful Company of Fishmongers of the City of London, and established a prosperous practice with many and varied commissions. 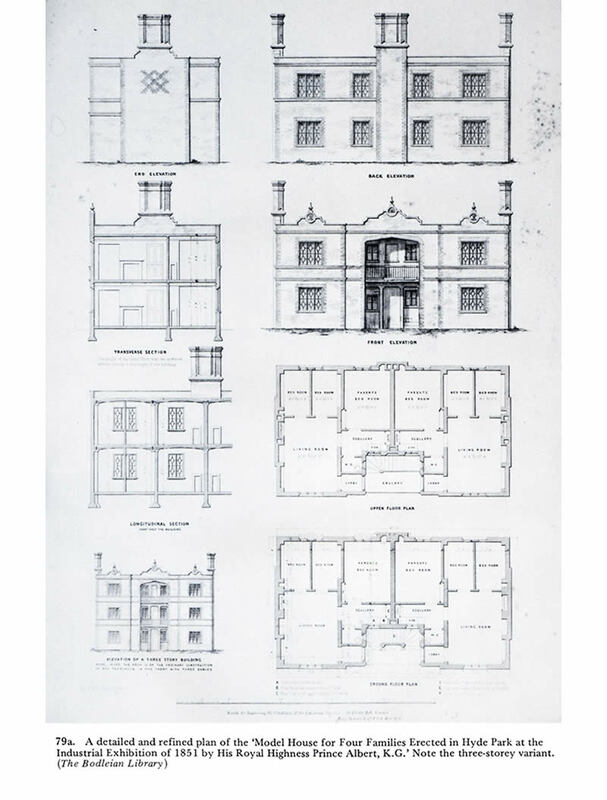 One of his assistants was the young George Gilbert Scott (1811-78), who was to go on to great things himself. 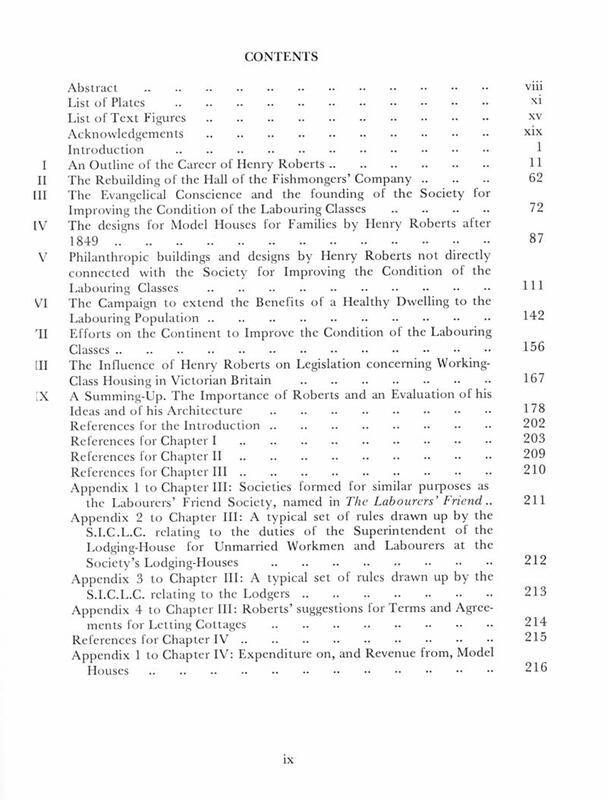 From 1835 Roberts became involved in the design of model housing for the poor, and from 1844 was intimately connected with the Society for Improving the Condition of the Labouring Classes: his Model Housing for the Great Exhibition of 1851 (paid for by Prince Albert) became world-famous, and his designs were exemplars for decades to come throughout Europe and America. 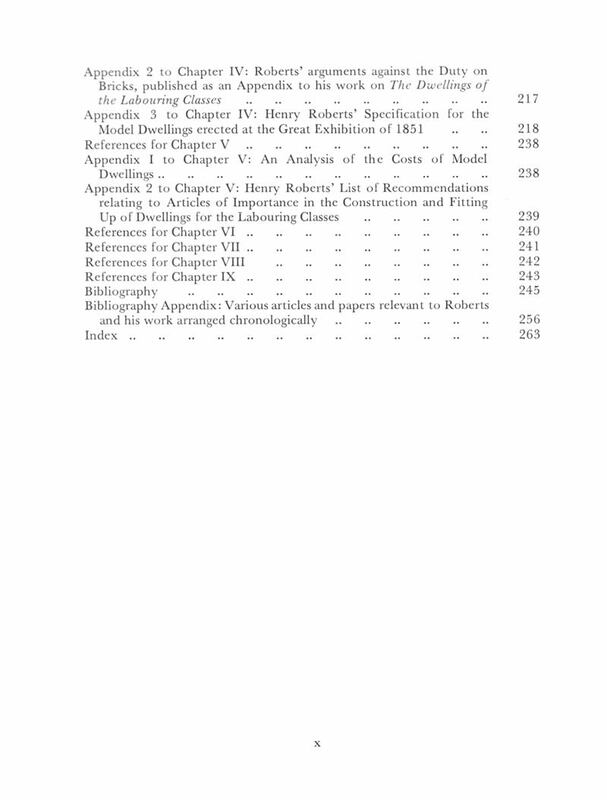 Roberts was a prolific writer and a tireless advocate of housing reform, whose publications were translated into various languages. His links with philanthropists in France, Germany, and Italy, his network of influential clients, and his associations with the Evangelical Movement in the Church of England and similar Protestant Evangelical groups in Europe (especially in France and Germany) furthered the spread of his ideas and designs both during his working career and, after the scandal that led to his departure to Italy in 1853, for the 23 years of his very active retirement there. 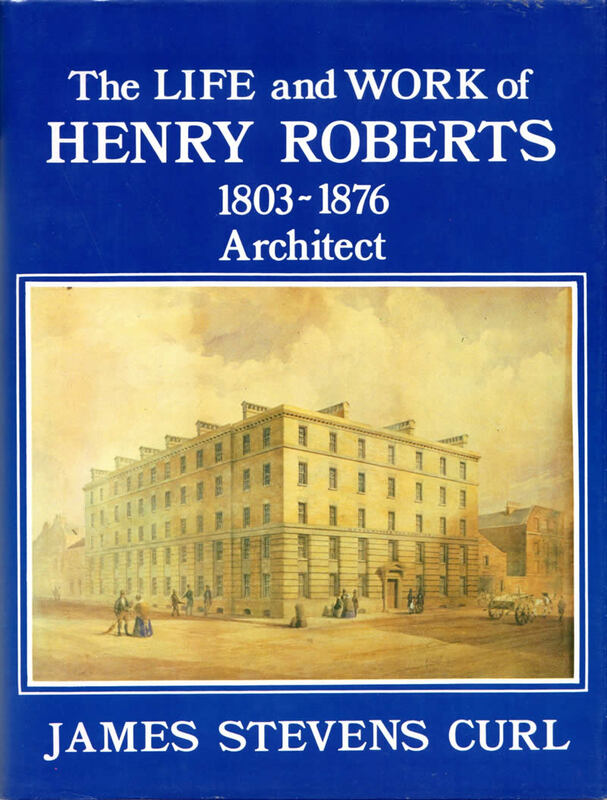 The text is illustrated with a very comprehensive record of Roberts' buildings in the form of photographs, original drawings, engravings, lithographs, water-colours, and sketches to produce, together with a study of Roberts the man and his family background (with portraits), a work that will appeal to a wide range of readers, including social and political historians, as well and those interested in architectural history.